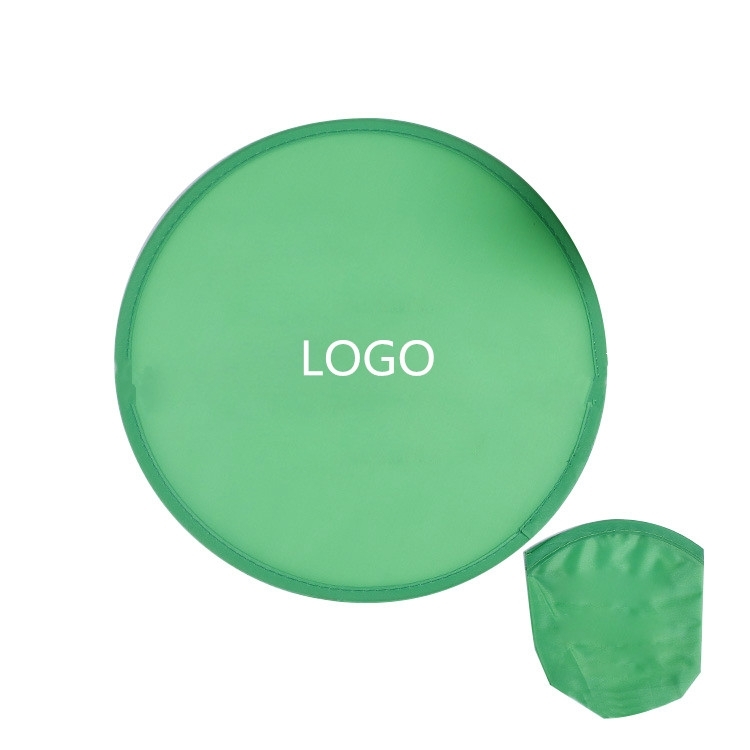 Made of Polyester, features with a small pouch, foldable to fit into storage pouch. 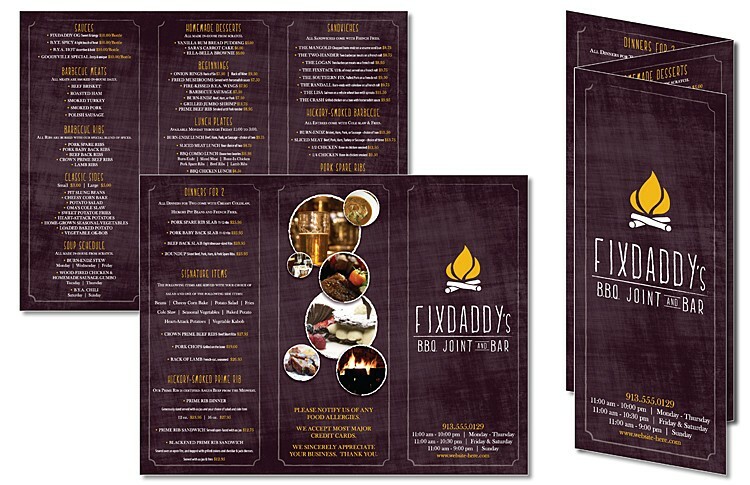 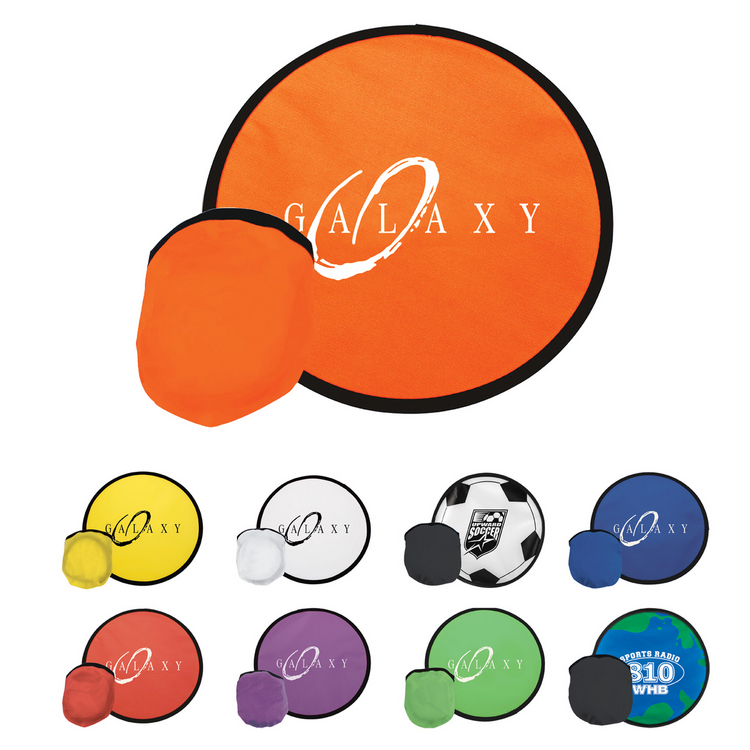 Large area for logo, the flyer and pouch can both be imprinted, show off your logo. 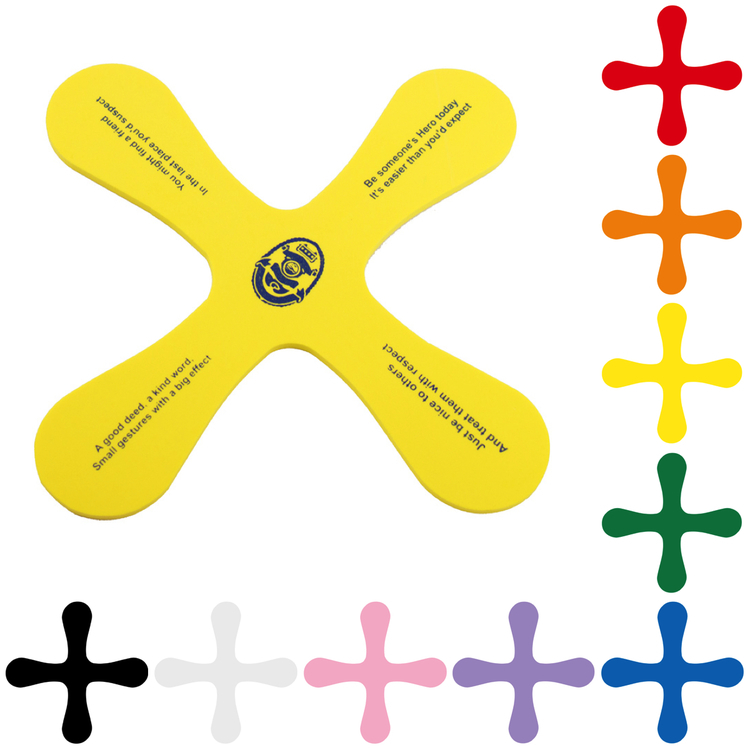 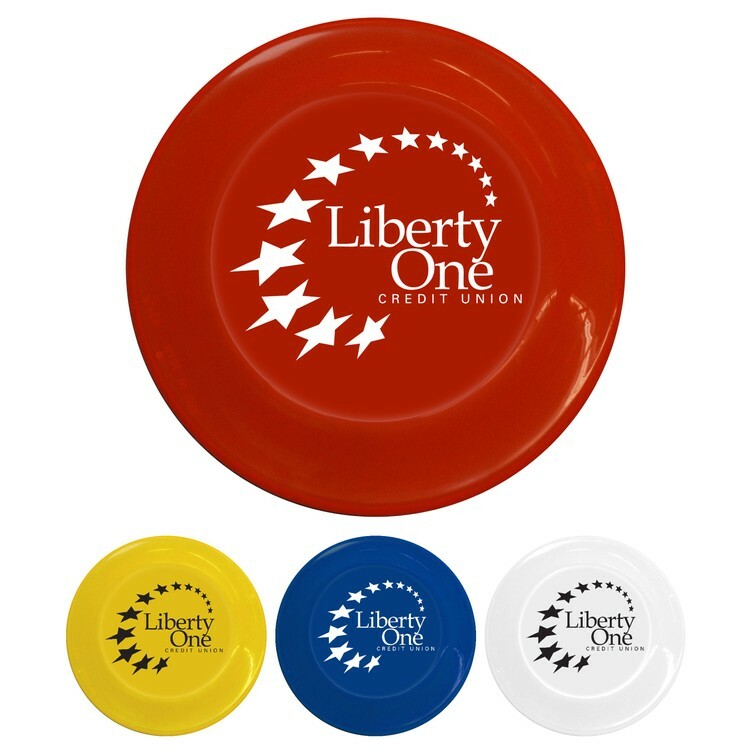 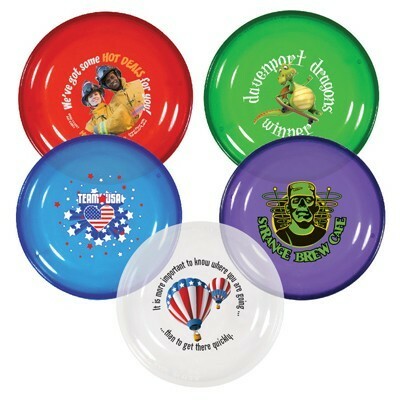 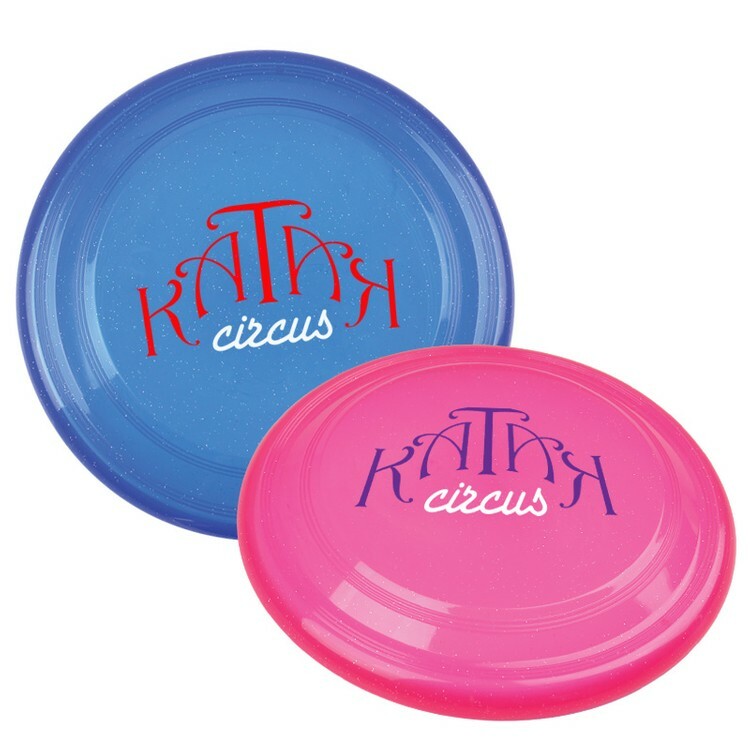 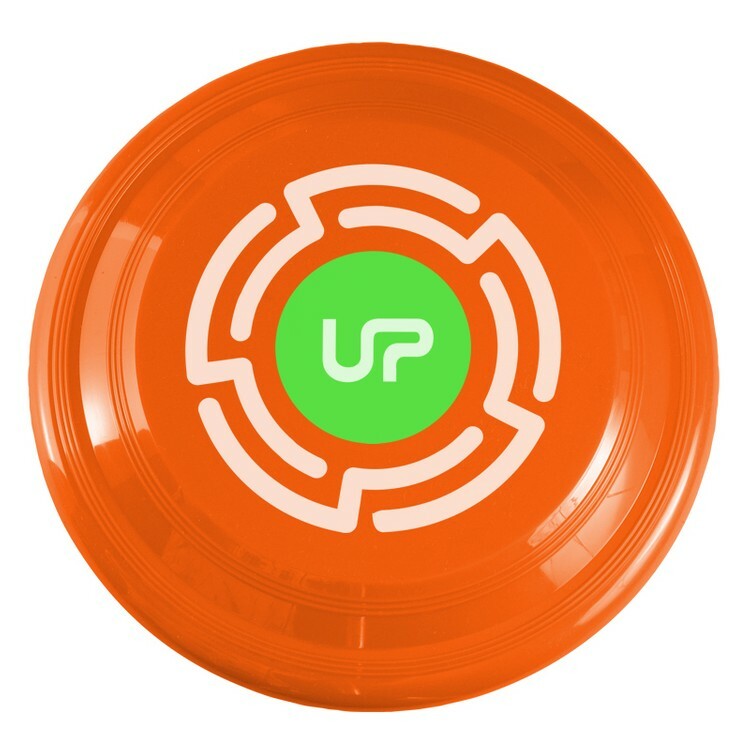 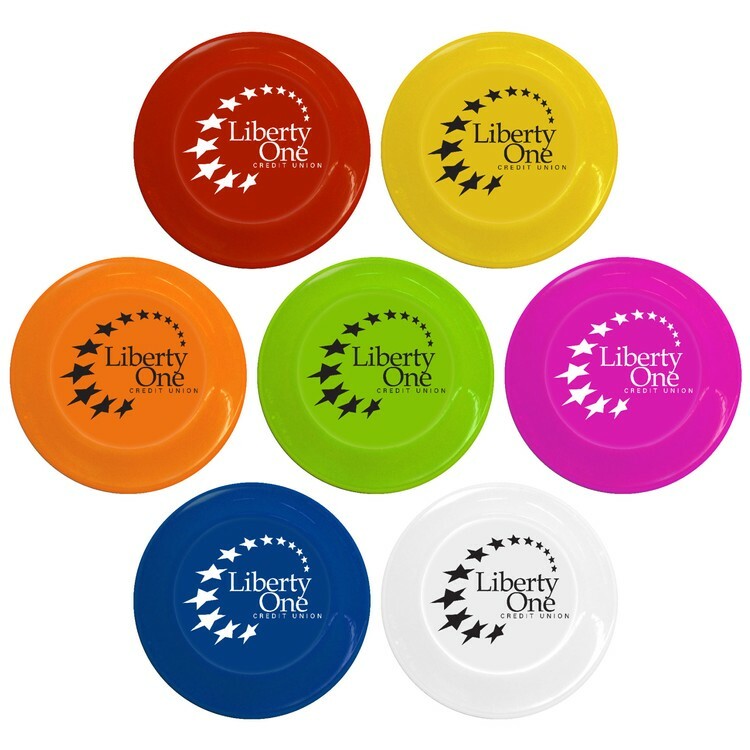 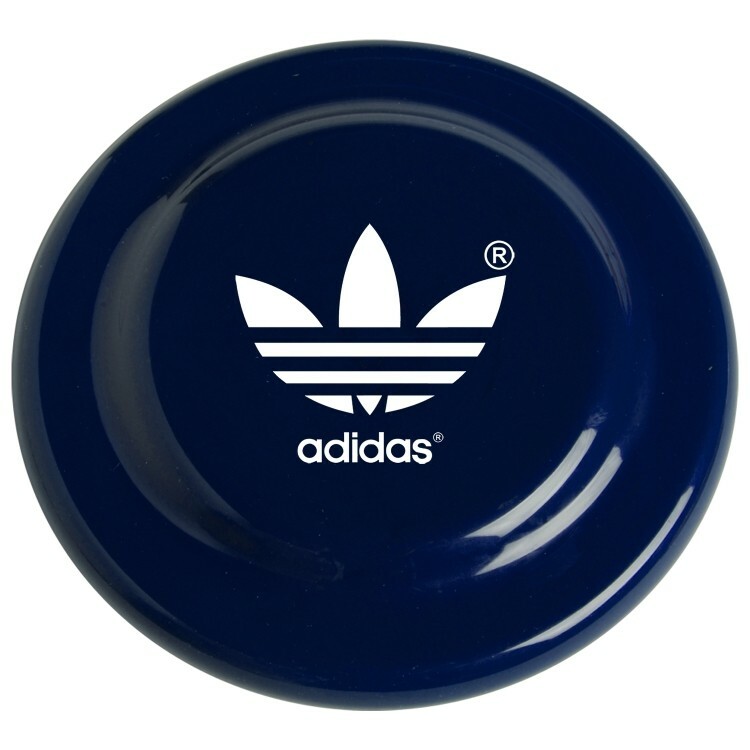 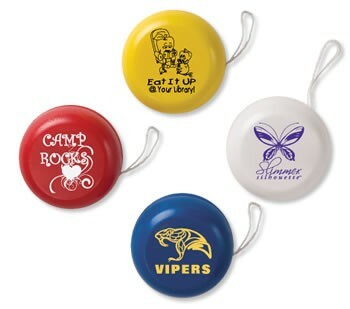 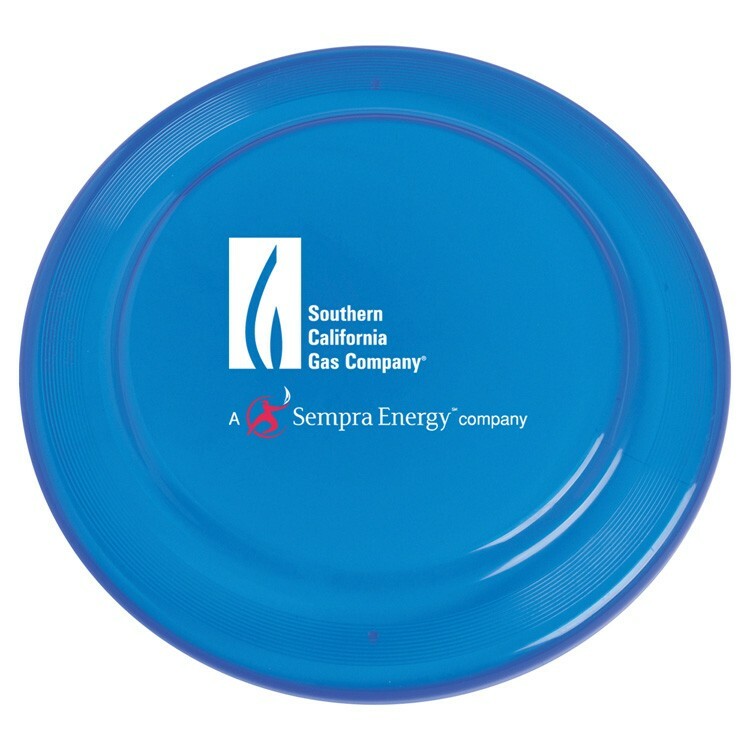 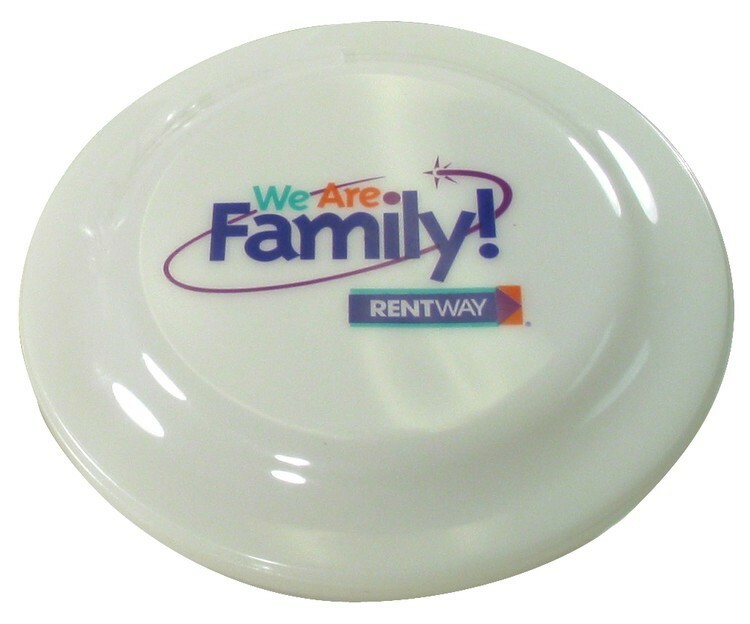 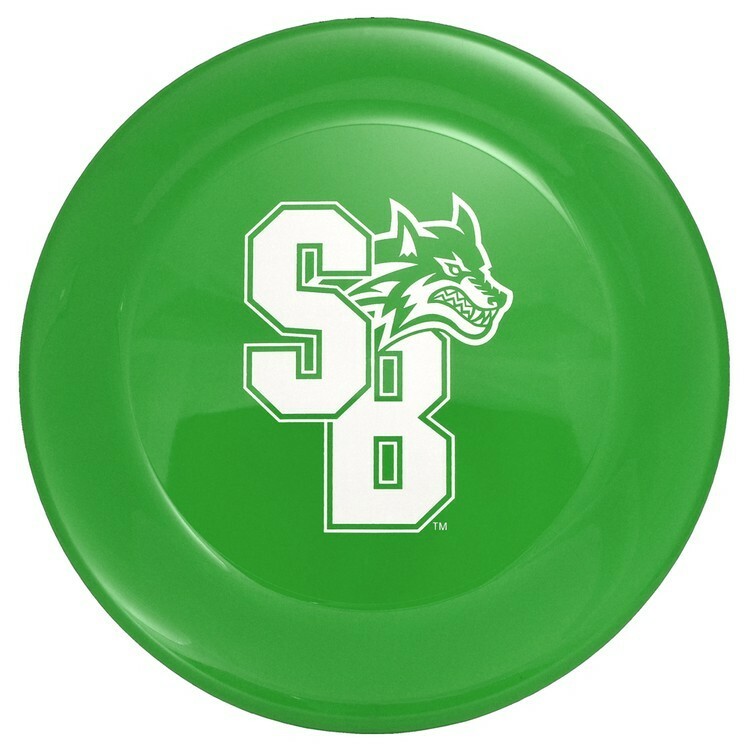 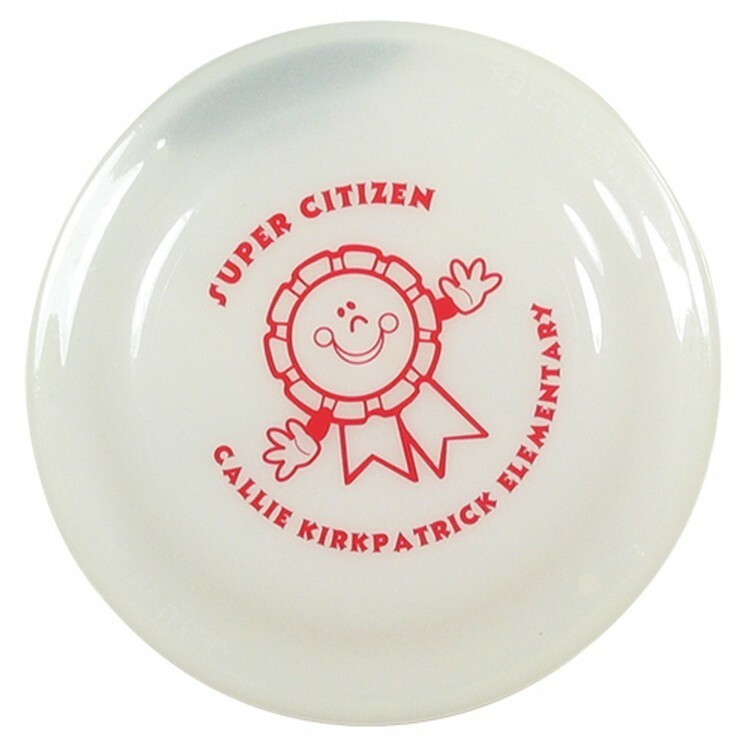 Get your customers to recognize your brand by this folding flying disc. 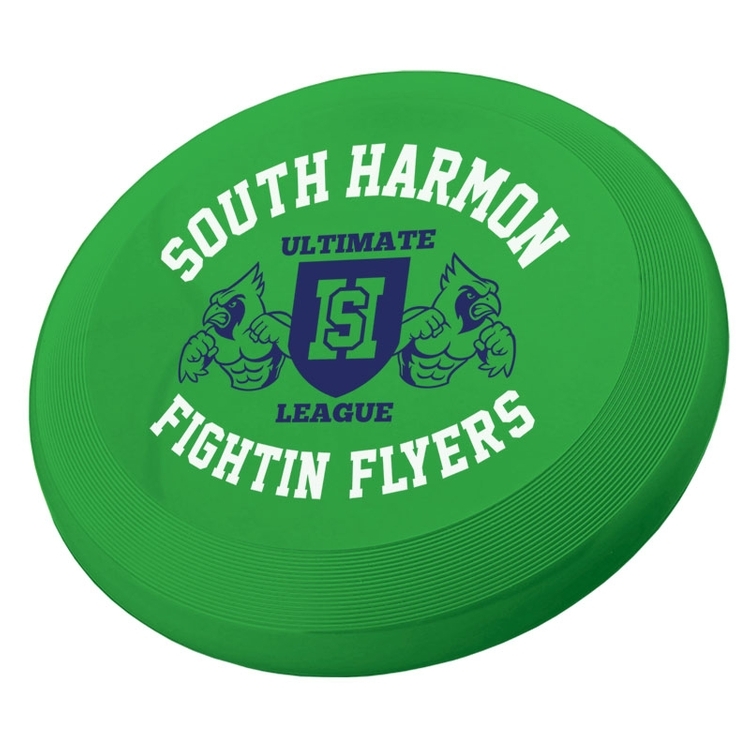 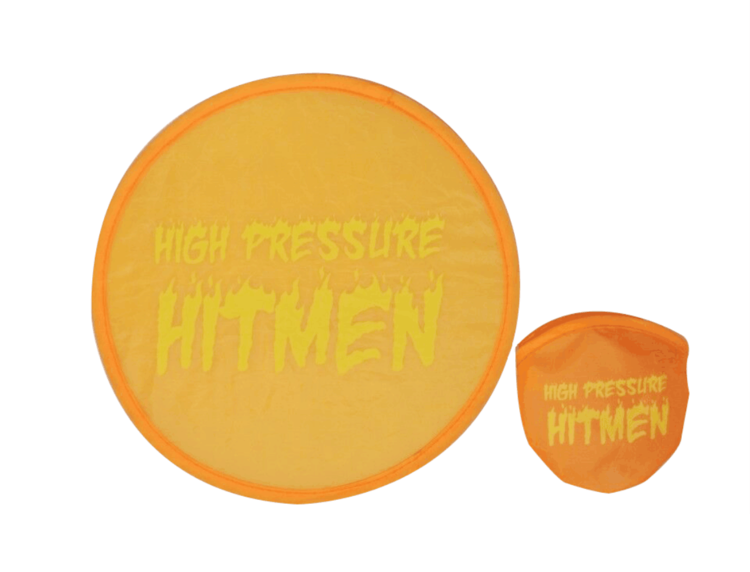 This round flyer is constructed out of soft, yet durable polyester, making it easy to throw and comfortable to catch. 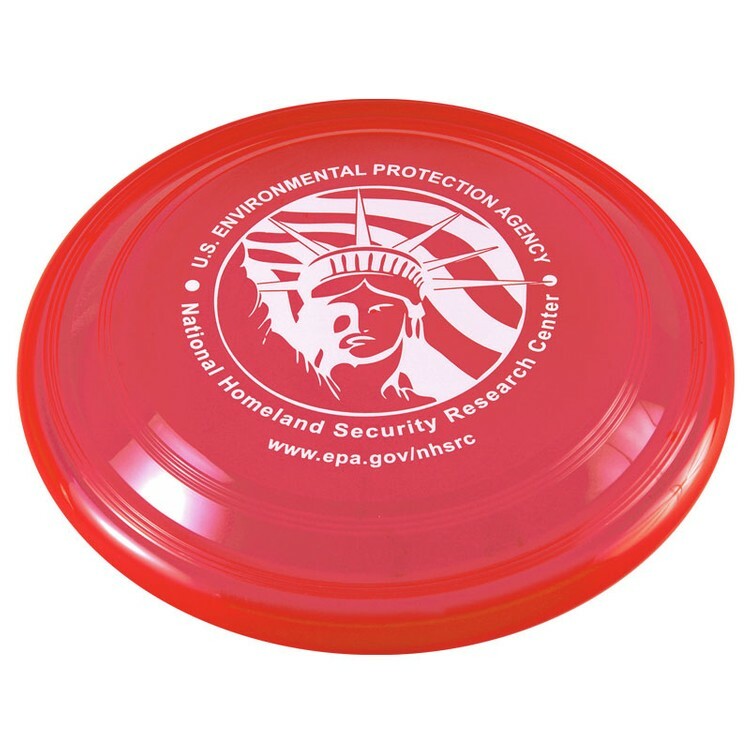 It is harmless to you and your pets. 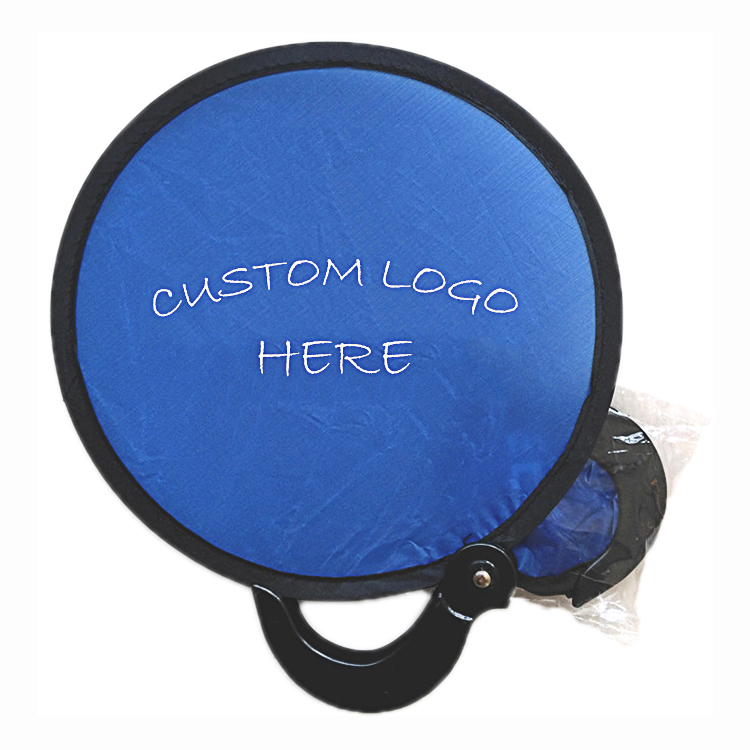 Custom design is welcome. 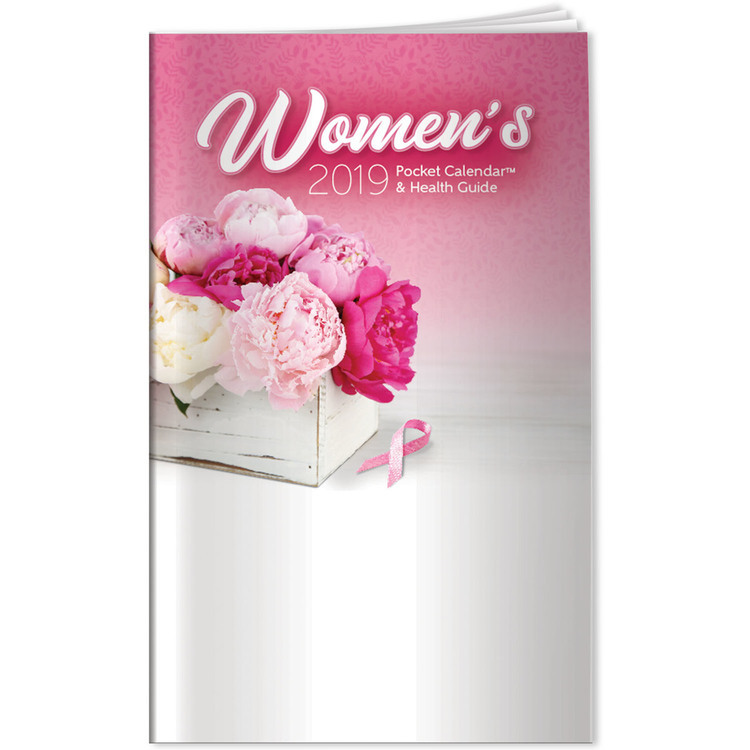 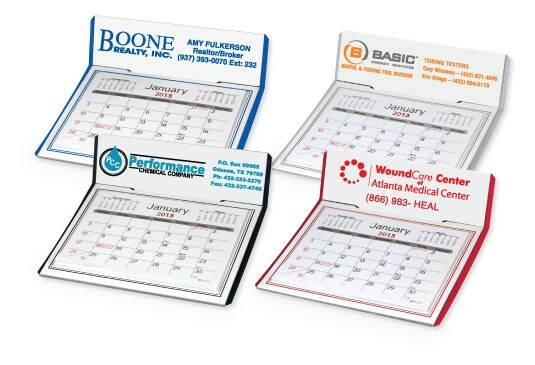 2016 Desk Calendar Product Size: 5.25" W x 4" Deep x 2.75" H Imprint Size: 4.5" W x 1.25" H Front & Back Imprint Available - Comes with only 1 Add $0.50 (v) plus Setup for Additional Imprint Location Colors: Red, Blue, Black & Grey Standard Imprint Colors: Pantone Warm Red, Rubine Red, Red 186 (match lids), Rhodamine Red, Pink 210, Pantone Violet, Pantone Purple, Purple 267 (match lids), Maroon 201, Process Blue, Reflex Blue (match lids), Navy 282, Green 347(match lids), Dark Green 350, Teal 326 (match lids), Orange 021 (match lids), Yellow Gold 116, Athletic Gold 123, Pantone Yellow, White, Black, Cool Grey 9, Brown 469, Metallic Gold 872, Metallic Silver 877 Click Here to View Our Standard Imprint Colors PMS Color Match: $45.00 (V) per color Production Time: 10 Working Days from Proof Approval, Call for Rush Availability FOB: AZ 85027 15 lbs per 100 pcs - 6" x 6" x 13"
It is made from 420D oxford fabric and 100% cotton cord. 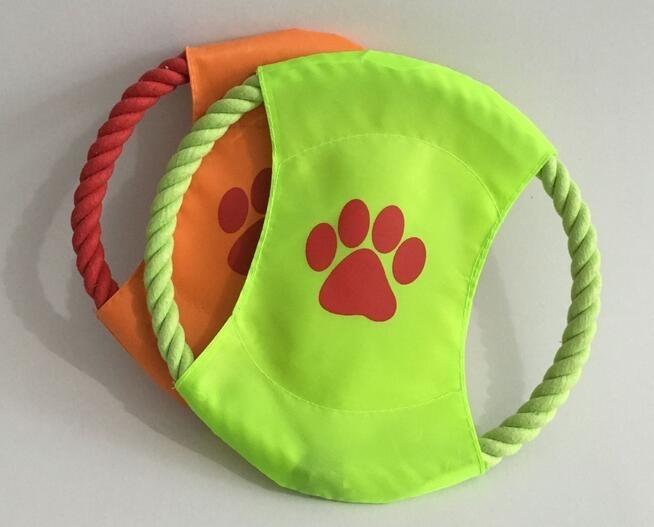 The perfect toy for your pet. 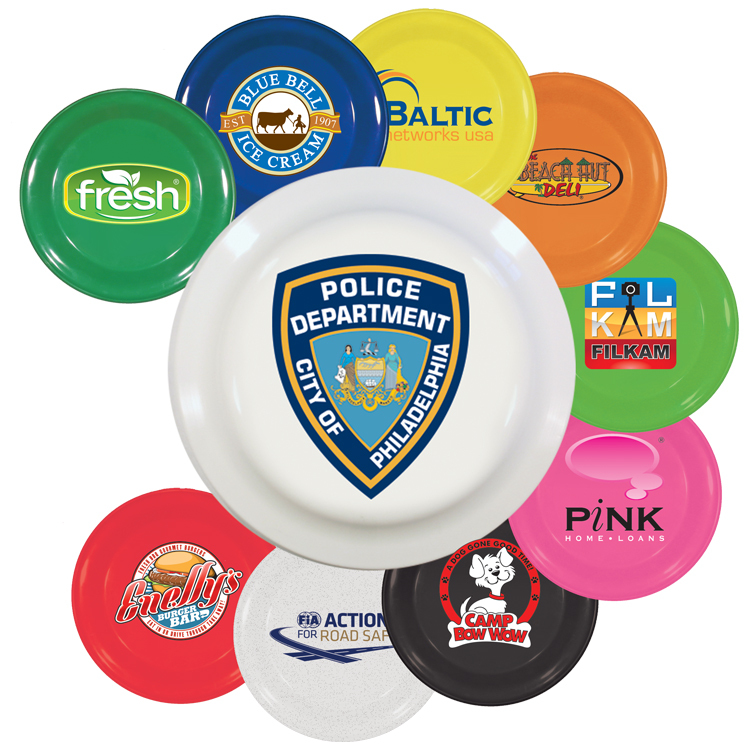 Your customized sizes and logo are available. 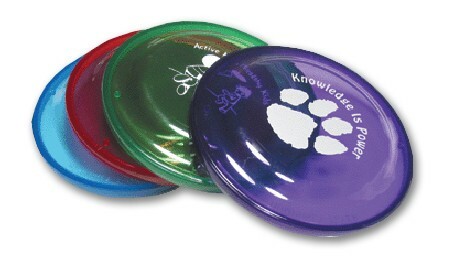 Each disc is made of dacron fabric and folds up into a small compartment that fits into pocket. 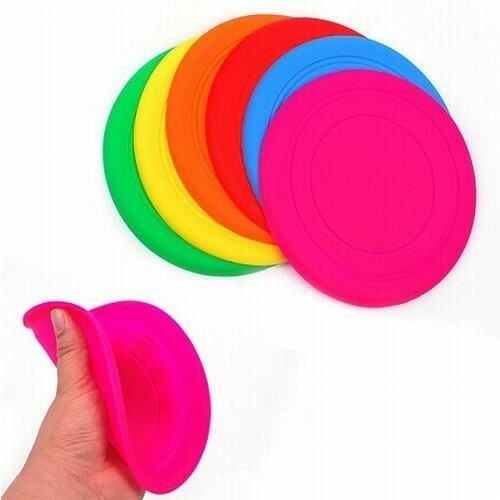 It is foldable frisbees, which easily carried in your pocket. 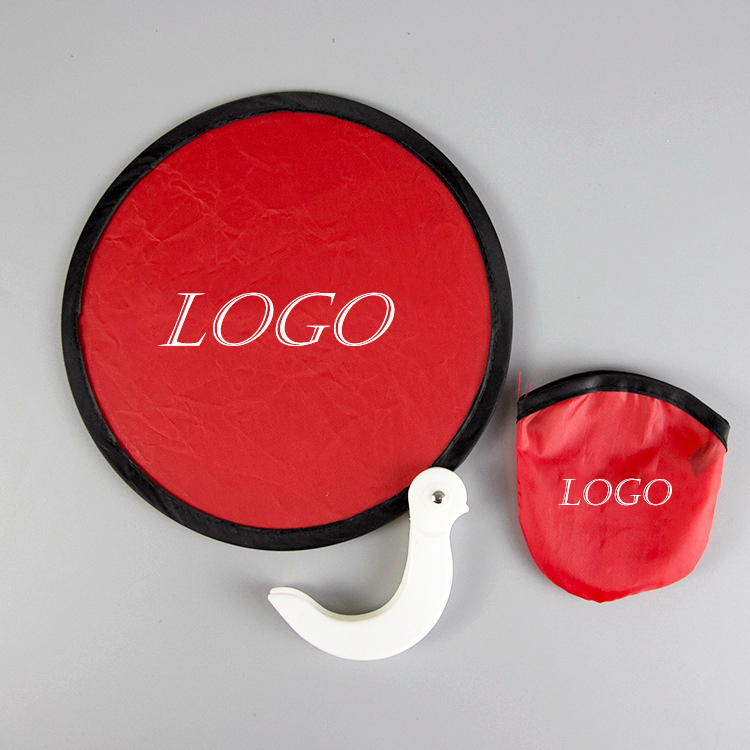 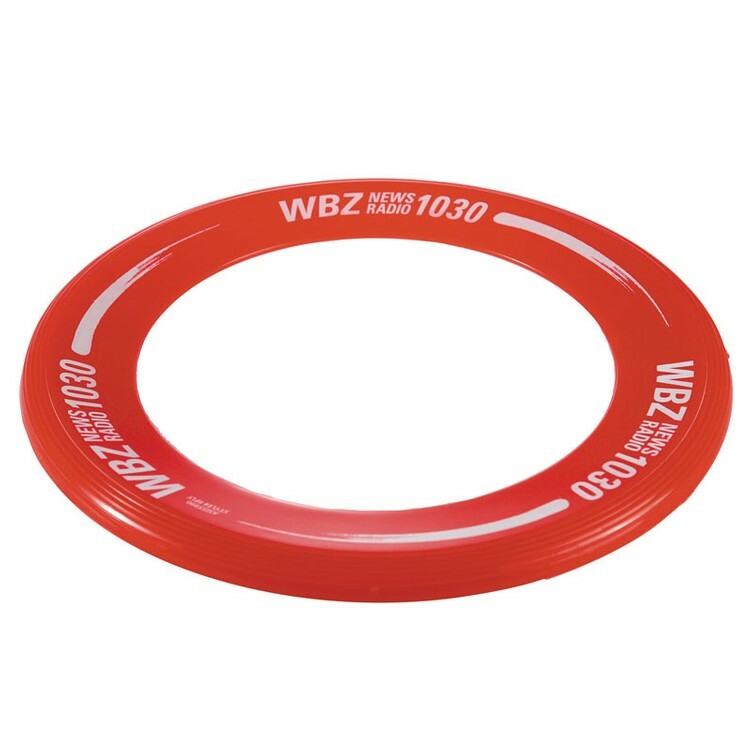 Logo can also be imprinted on it with silk-screen printing. 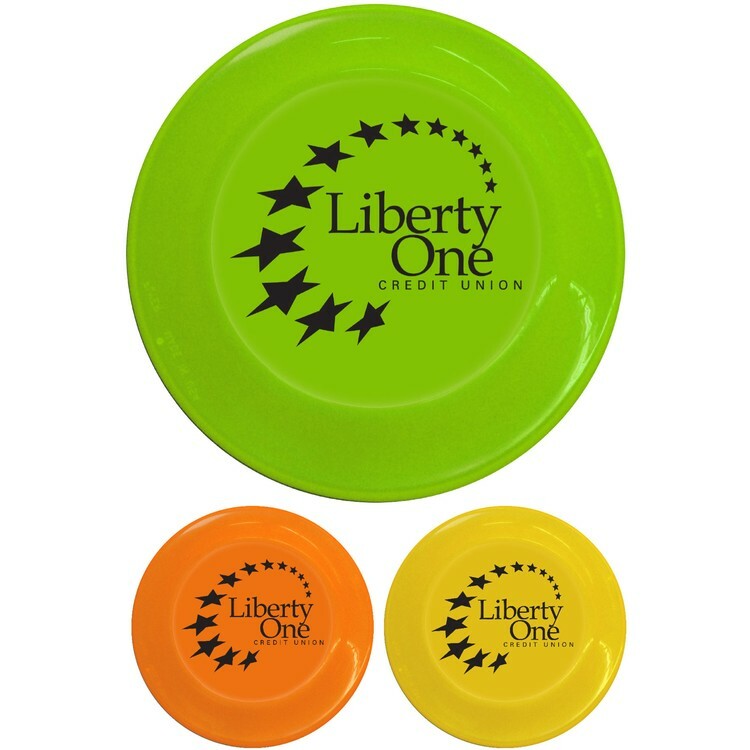 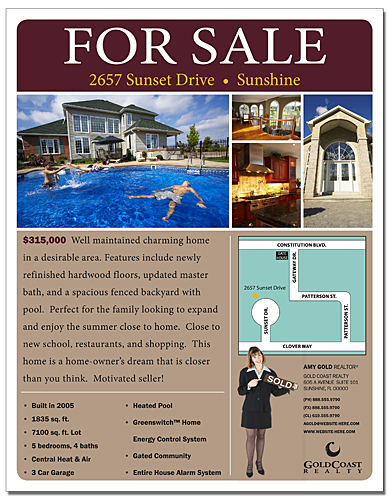 Price includes 1 color 1 side 1 location.